In addition to a knee injury, Patriots tight end Rob Gronkowski is apparently suffering from a back injury. We're not sure when or how it happened, but Gronk popped up on the injury report last night with the ailment. He didn't practice yesterday, but he's still expected to play tomorrow against the Chiefs. Mike Florio of Pro Football Talk is reporting that a total of 17 Patriots were listed on the injury report this week. Gronk missed practice earlier in the week, but there were conflicting reports as to why. It's believed that he was at the hospital getting IV's injected into his knee, but Ian Rapoport of the NFL Network was told otherwise. 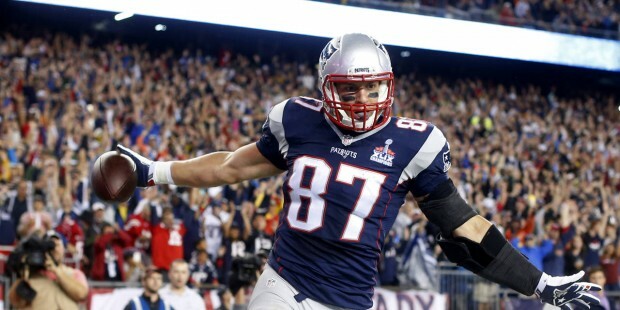 What I'm told on #Patriots TE Rob Gronkowski: He did not receive any knee injections. He's been getting treatment & getting ready to play. It turns out, however, Gronk was indeed getting IV's in his knee. Gronk did indeed have a pain injection in the knee today, per source. @AdamSchefter and @MikeReiss had it first. Apparently the knee is an issue and he'll play through the pain, but The Boston Herald's Jeff Howe reported that the back injury doesn't seem to be of much concern.